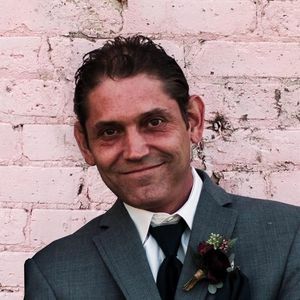 Gregory A. Pittman, 42, of Aurora, passed away on Saturday, March 30, 2019 at St. Joseph Hospital in Joliet, IL. with his family and friends by his side. He was born on April 28, 1976 in Aurora, IL, the son of Darrell A. Pittman, Sr. and Louise (Greenwall) Pittman. Greg was employed for 14 years at Constitution House in Aurora. He was an avid Miami Dolphins and Chicago Cubs fan. He was a loving father, son, brother and friend to those lucky to know him. Survivors include his daughter, the light of his life, Izabella Darrell, 5 years old; his parents; his sister, Jessica (Dan) Joy; his sister-in-law, Roberta Pittman; his nieces, Jordan (Caleb) Cottrell and Payton Pittman; his maternal grandparents, Veleria (Ray) Littlejohn and Hamp (Pauline) Pittman and his maternal grandmother, Wilma Greenwall. Greg was preceded in death by his brothers, Darrell Pittman, Jr. and Jared Scott Pittman; his cousins, Steven Greenwall, Jr. and Shane Warder and his maternal grandfather, Paul Greenwall. A Celebration of his life will be held on Wednesday, April 3, 2019 from 5-8 P.M. at Turners Club, 1335 Mitchell Rd., Aurora, IL 60504. In lieu of flowers, memorials may be directed to Greg's family for Izzy's education. Add your thoughts, prayers or a condolence to Gregory's guestbook.